Moisture Tester | Sand Moisture Tester, Portable/Made in USA - Gilson Co.
MA-26X Gilson Aqua-Check Moisture Tester is made in the USA, and offers an affordable choice for rapid, accurate and reliable moisture tests on sand, aggregates, ores, coal, soils and other materials with particle size up to 20mm. Samples can be quickly tested on-site, eliminating delay and risk of moisture loss during transport. Portable units are easy to use, and meet ASTM, AASHTO and Florida DOT requirements. A pre-weighed 20g sample is placed in the test chamber, along with a measured quantity of calcium carbide reagent. When the cell is sealed and agitated for one to three minutes, free moisture in the test sample reacts with the reagent to produce acetylene gas. The integral pressure gauge registers 0—20% moisture by weight in 0.2% graduations. Moisture range can be doubled by halving the pre-weighed sample weight. The Aqua-Check has a rugged, die-cast aluminum body with a tough, wear-resistant coating and includes a 0—20% pressure gauge, with a certificate of calibration. Models are also supplied with an electronic digital balance, two 1.25in (32mm) dia. 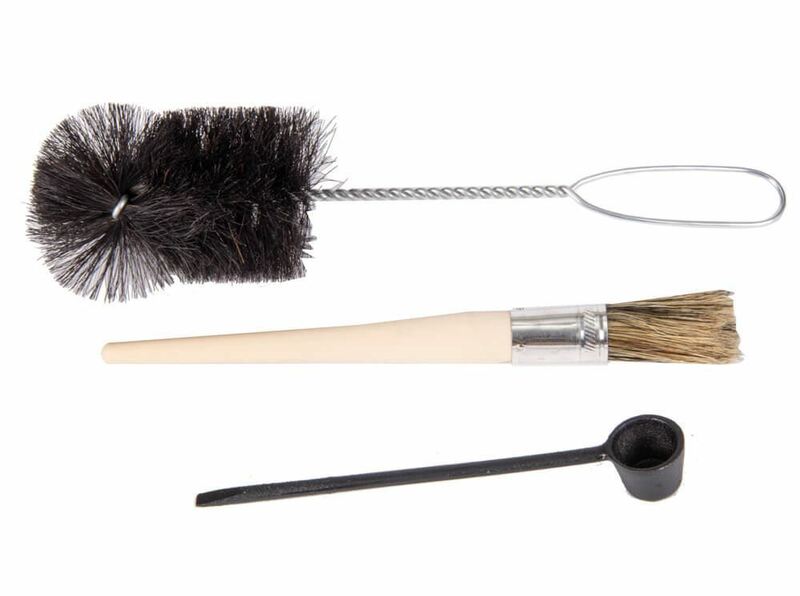 steel pulverizing balls, reagent measuring scoop, brush and instructions in a heavy-duty, waterproof plastic case. 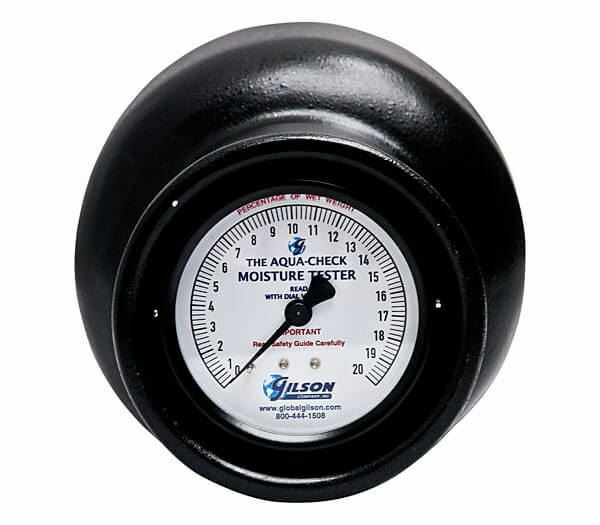 The high-quality pressure gauge and all accessories are compatible with both Aqua-Check and Speedy-brand Moisture Testers. MAA-45 Aqua-Check 0—20% Replacement Pressure Gauge includes a certificate of calibration. Recalibration service for existing Aqua-Check gauges is available as MAA-53. Contact us for assistance.